TCU Football isn’t the only sport getting new uniforms for TCU. The Baseball team has revealed their six new looks they will have for the upcoming season. The team will have the options to rock their throwback uniform that features the old school logo on the hat and jersey with retro purple piping. 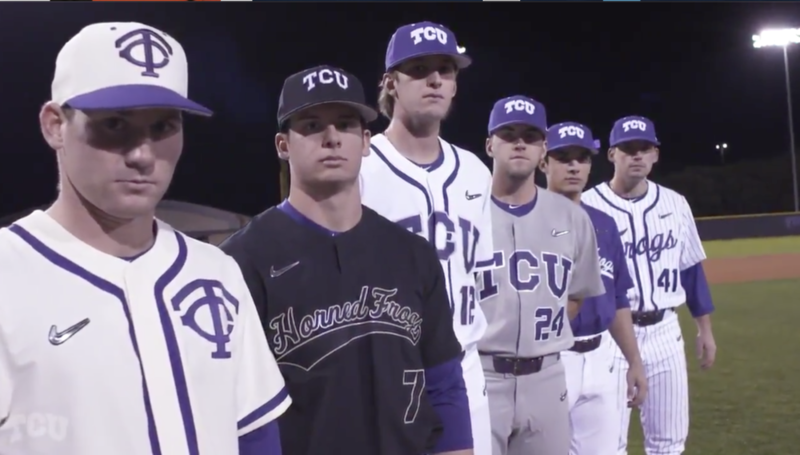 They have a black look that will have the Horned Frog script across the chest. To finish off the looks the team will have their traditional white and purple uniforms and an additional alternate gray look. Overall a great look with multiple different options to choose from for the Horned Frogs.